He chronicled his journey on Instagram. American Colin O’Brady became the first person to complete a solo journey across Antarctica, unaided and unsupported, after finishing a two-month expedition in frigid temperatures and winds of 30 mph on Wednesday. “The wooden post in the background of this picture marks the edge of the Ross Ice Shelf, where Antarctica’s land mass ends and the sea ice begins,” O’Brady wrote to his more than 109,000 followers on Instagram upon completing his journey. 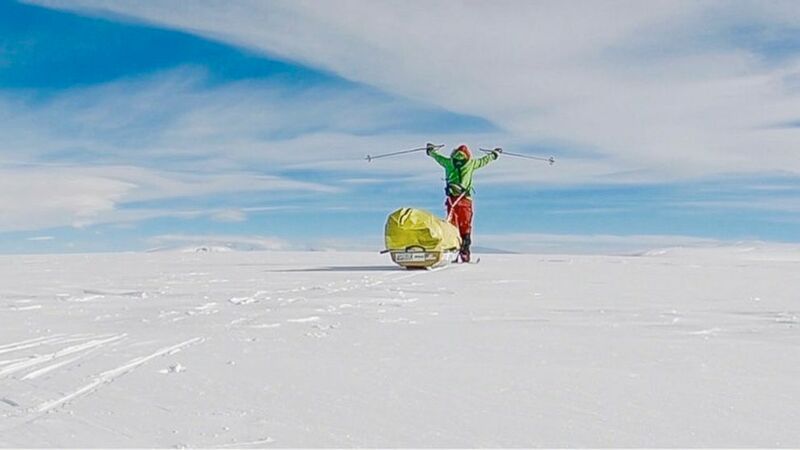 “As I pulled my sled over this invisible line, I accomplished my goal: to become the first person in history to traverse the continent of Antarctica coast to coast solo, unsupported and unaided,” O’Brady wrote. A day before reaching the Ross Ice Shelf, O’Brady wrote to his followers that he planned on pushing through the last 80 miles to the finish line. (Colin O'Brady via AP) This Dec. 9, 2018, photo provided by Colin O'Brady, of Portland., Ore., shows himself in Antarctica. Thirty-two hours after he laced up his boots, delirious and sleepless, he took a selfie in front of the wooden post, making history. In 2008, while traveling in Thailand, O’Brady’s legs and feet were severely burned in a fire. He was told by doctors that he was unlikely to walk normally again, but he was determined to “beat the odds,” according to his website. Just 18 months after the fire, O’Brady won first place in the first triathlon he competed in since the incident. 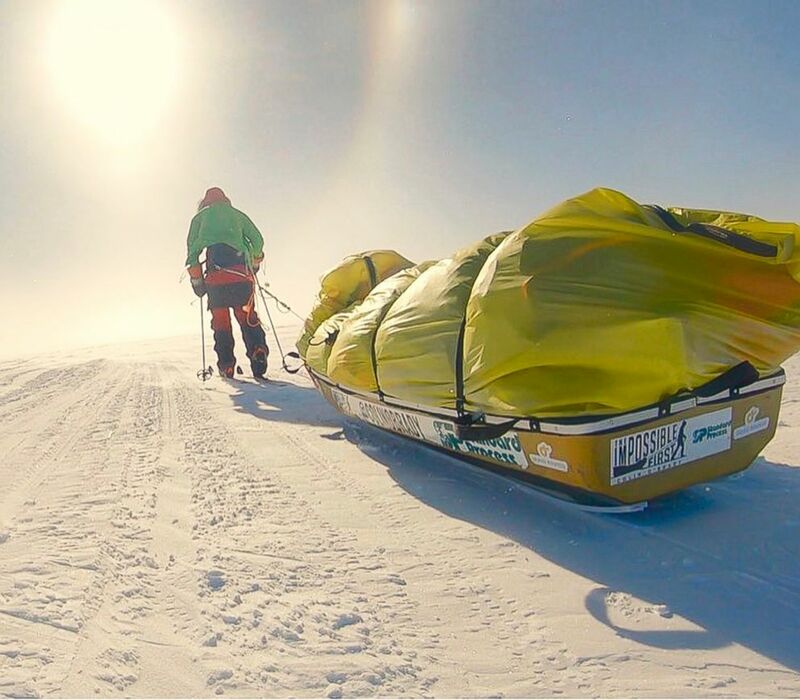 He has competed in various sports competitions since and is part of a rarefied group to finish the Explorers Grand Slam, an expedition to summit the tallest peaks in every continent and ski the last degree to the North Pole and South Pole in 2016. He broke two world records in the process: one for becoming the fastest person to finish the Explorers Grand Slam in 139 days and the second for being the fastest pace to climb the Seven Summits in only 132 days. Another adventurer, Englishman Louis Rudd, is also trying to complete the journey across Antarctica unaided. He has currently completed 90 percent of his journey and is expected to reach Ross Ice Shelf on Dec. 29. O’Brady told The New York Times that he planned on setting up camp, closing his eyes and waiting for Rudd. ABC News could not reach Colin O’Brady for comment. Subscribe to the "10% Happier" podcast for free on Apple Podcasts, Google Podcasts, Spotify, Stitcher, TuneIn, or the ABC News app.